Packaging is an integral part of fast moving consumer goods (FMCGs), especially consumables. It has gained increasing importance in recent years owing to rising consumerism and popularity growth of packaged food and beverages. 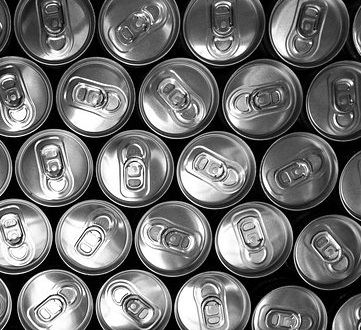 Beverage cans constitute the primary layer of packaging, which is the most essential packaging layer as it comes into direct contact with the contents. Beverage Cans Market witnessed growth across the globe in recent years as consumers increasingly become brand as well as health conscious. These cans cater to both these consumer trends providing a large printable surface serving as a 360 degree billboard for companies to advertise their brand, and assure consumers of quality by using metals that protect against corrosion and spoilage of the beverage. Beverage cans are manufactured using different metals like tin, aluminum and steel, and are used for a variety of beverages like alcoholic beverages, carbonated drinks, energy drinks, juices etc. The global market for beverage cans is expected to grow at a CAGR of 3.3% over the forecast period on the back of rising beverage demand, and reach a market size of USD 61 billion by 2024. Aluminum cans are the most popular amongst cans of all materials, owing to excellent physical qualities and increase in aluminum production levels in the past few years. Geographically, North America accounts for majority of the market share in terms of revenue. Europe beverage cans market valued at USD 10 billion in 2016 which is expected to grow at a CAGR of 4% from 2016 to 2024. This can be attributed to increased recycling activities undertaken by the regulatory bodies including European Commission. However, developing regions like Asia Pacific are expected to witness the highest growth during the forecast period due to rising GDPs and growth in the food and beverage industry. North America and Europe are becoming saturated markets with diminishing scope for growth. Rising beverage demand especially in emerging markets, continuous product innovation by key players and rising consumerism worldwide are the key factors driving demand for beverage cans. Advantages of these metal cans in terms of convenience, portability, lightweight and durability are the key reasons for their tremendous popularity in present times. Moreover, recyclability of these cans makes them very lucrative in the wake of rising environmental concerns and consumer inclination towards sustainable products. Rise in sales of health and energy drinks due to rising health consciousness among the population, especially in urban areas, is expected to further propel growth in the market for beverage cans. However, compliance regulations by governments in terms of manufacturing processes might act as hindrances to market growth. Decline in alcohol consumption levels due to government initiatives will also restrict demand for beverage cans. For instance, beer consumption in Europe declined in recent years. Taxation policies might also adversely affect demand for beverage cans. For instance, increased excise duty on alcoholic beverages will dampen sales of these beverages, translating into reduced demand for cans.